On October 12, 1951, Queen Elizabeth made her first Royal Visit to Toronto. 300,000 spectators gave the then Princess Elizabeth, and the Duke of Edinburgh, a tumultuous welcome as they were driven from Malton (now Pearson) Airport to City Hall (now old City Hall). 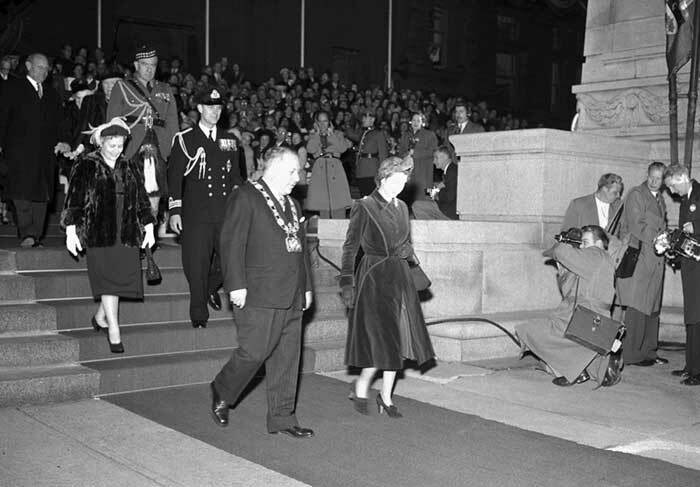 There the Princess was greeted by Mayor Hiram E. McCallum, signed the register, paid her respects to Toronto’s War Dead, and attended a civic reception. 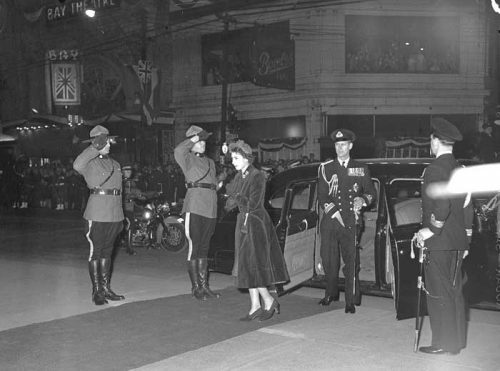 Throughout their two-day visit, the Royal Couple was captured for posterity by Globe and Mail photographers, whose work can now be viewed at the City of Toronto Archives. 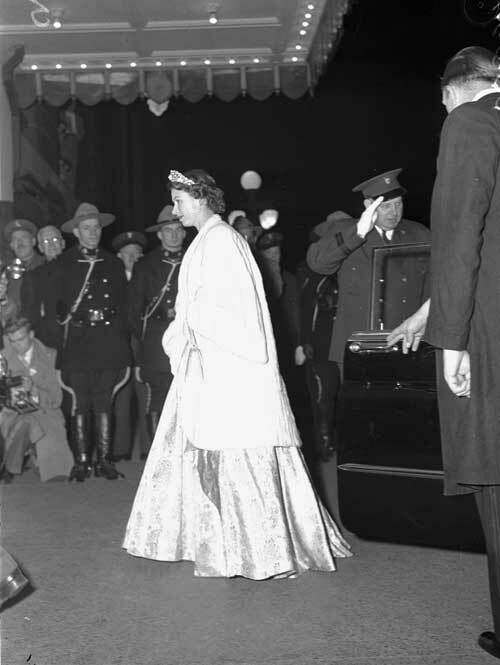 Here is a small selection of images from recording her visit. RCAF members keep the crowds back. 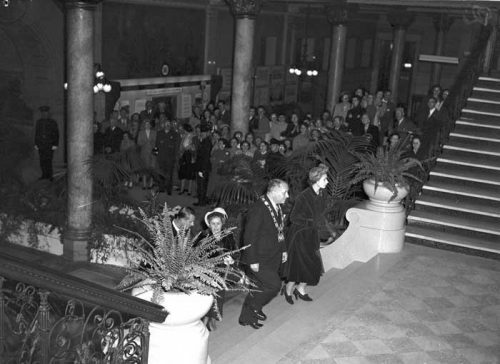 Mayor McCallum escorts Princess Elizabeth through old City Hall. 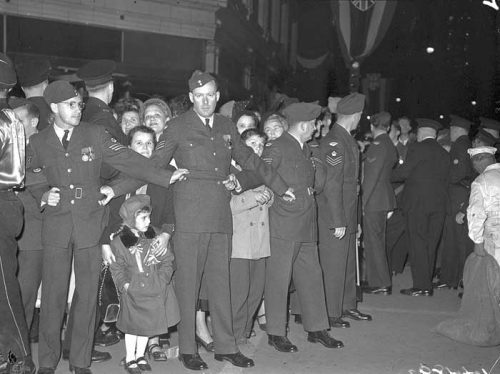 Photographers document the departure from City Hall. 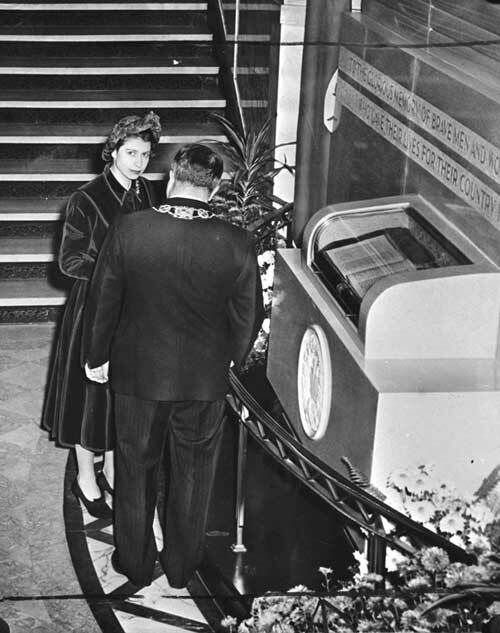 Princess Elizabeth reflects before the Book of Remembrance.